Tulsa sends defenseman Zach Todd to Orlando for forward Robbie Baillargeon, and releases two players bringing training camp roster to 26. 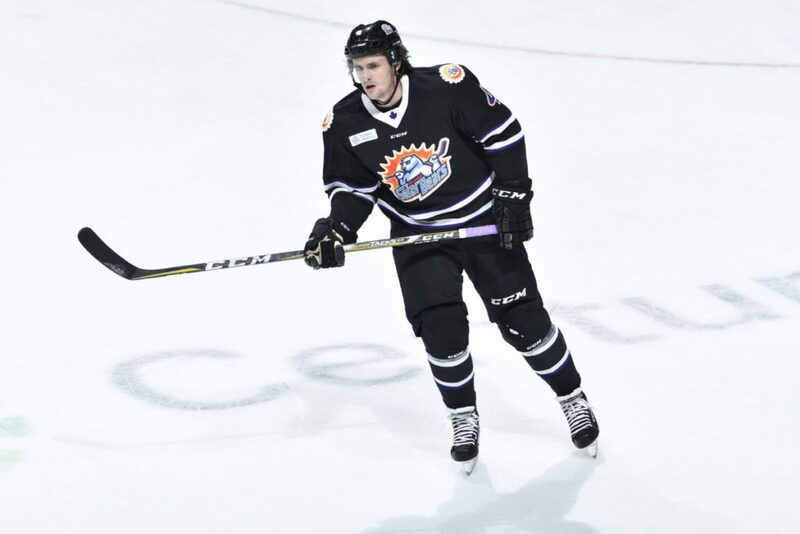 TULSA, OK – The Tulsa Oilers, proud ECHL affiliate of the National Hockey League’s St. Louis Blues, and Head Coach Rob Murray announced Monday the team has acquired forward Robbie Baillargeon from the Orlando Solar Bears in exchange for defenseman Zach Todd. The Oilers also trimmed their training camp roster to 26 players by releasing forward Ben Blasko and defenseman Cooper Jones on Monday. Baillargeon, 25, joins the Oilers after skating in 29 regular season and six playoff games as a rookie in 2017-18. The Enfield, CT native started the season in South Carolina, where he tallied nine assists in 21 games, before finishing the season in Orlando. Baillargeon posted four goals in eight games for the Solar Bears and added one assist in six postseason games. The former 2012 fifth round pick of the Ottawa Senators played three college seasons at Boston University, before finishing his college career at Arizona State University in 2016-17. He totaled 76 points (28g, 48a) in 129 NCAA games from 2013-17.